Another MU rolling in like cannon thunder. 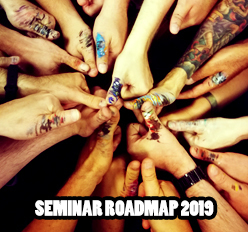 If you want to see more Miniature Unpackeds check this link! 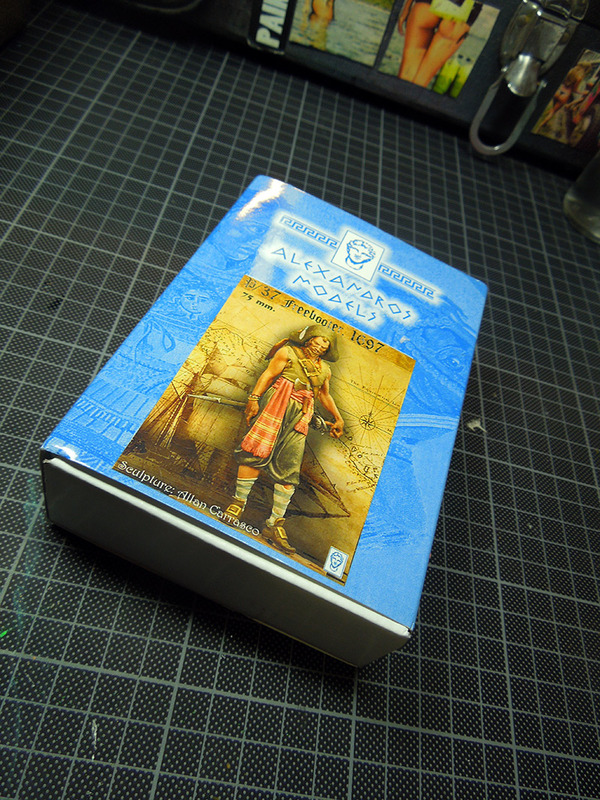 This time I am taking a closer look on a miniature by Alexandros Models. 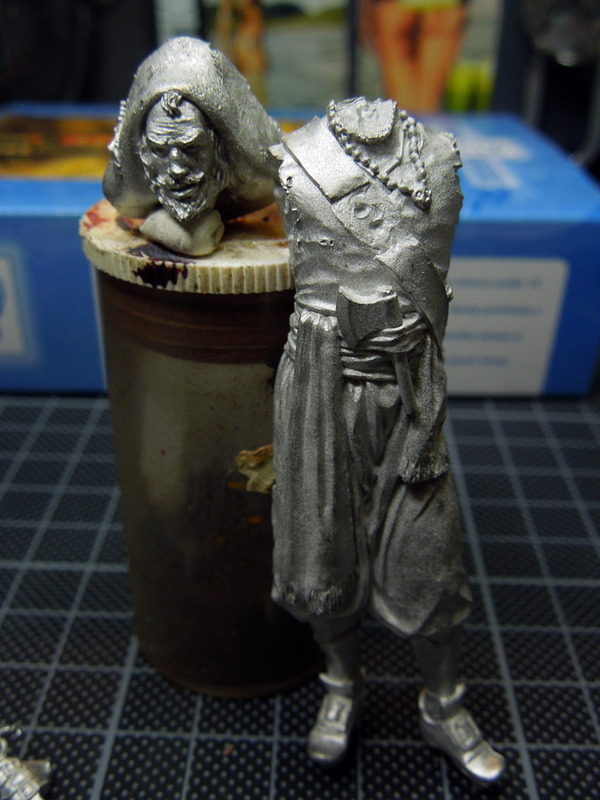 The 75 mm Freebooter, 1697, which was sculpted by one of my favourite sculptors out there: Allan Carrasco. The beautiful Box Art was painted by Alexandre Cortina. This sculpt caught my attention as I do love the pose, the sculpting work and the powerful expression, even he is standing still he looks very dynamic. Allan Carrasco!! When you open the box all parts welcome you very sorted and packed in foam. After unpacking you recieve 11 parts of the figure. 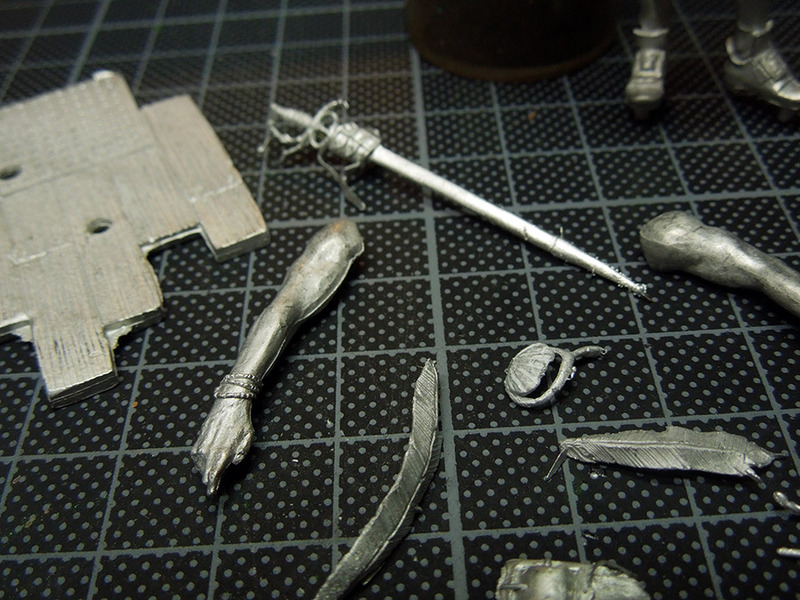 One base, one main body, one head, two arms, a feather, a rapier, a belt piece and two more rapier pieces. No idea if my list tells eleven, but I think I counted right. The most interesting part for me for the first look was the torso and face, as in the pose and in the sculpting of this face full of character the figures soul is to find. 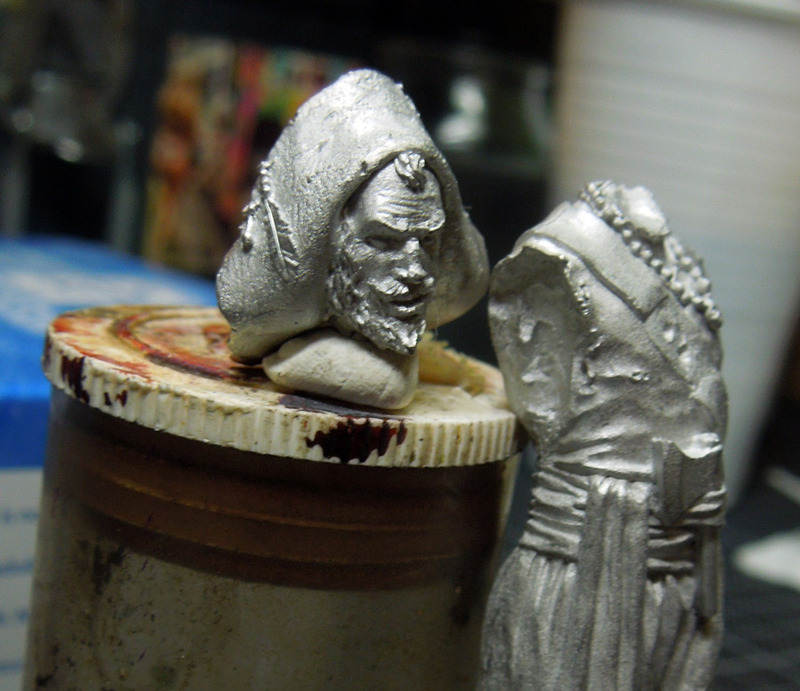 I can say: I really do like it from the aspect of sculpting. The cast looks well on the first look too, only the white metal surface looks a bit rough so I recommand cleaning it with steel wool. On the second view I still can say the cast is well, only on the base, main torso and the arms I found some "bigger" mould lines, one nasty one on the arm. 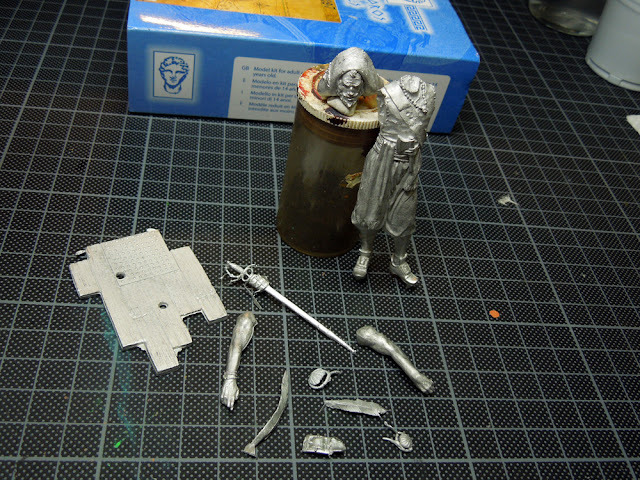 At all the small pieces you find rests from the cast that can be removed away with the use of your hobby knife. 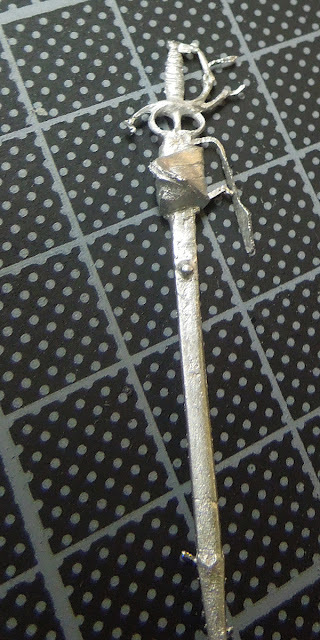 The pieces fit together very well without further preparation, for example check this arm it is just placed where it has to be without glueing. Cool! This mouldline on his right arm is the nasty one. 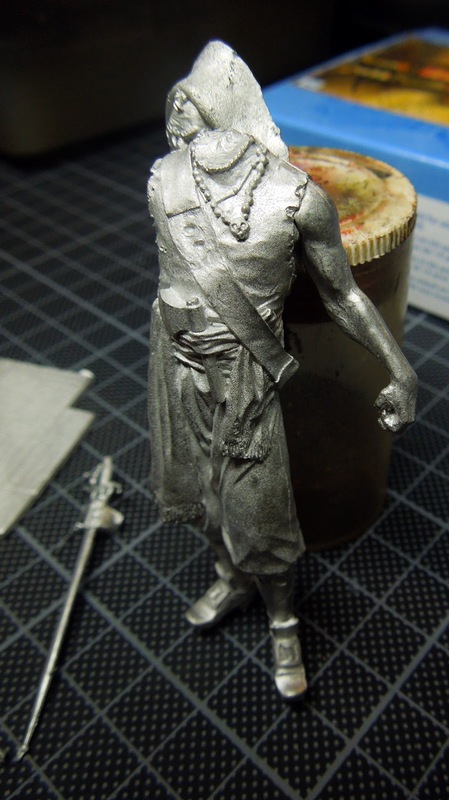 Also the inside of his arms is not sculpted that cool. In this case I have no problem with it as his right arm's inside is close to the main body and his left arm is well sculpted in the areas that are visible later on. As conclusion I can say: I am still in love with the figure because of the power of the sculpt. The cleaning and preparation will take a little while but not too much. I would say this is still a decent quality, not a perfect one but decent. 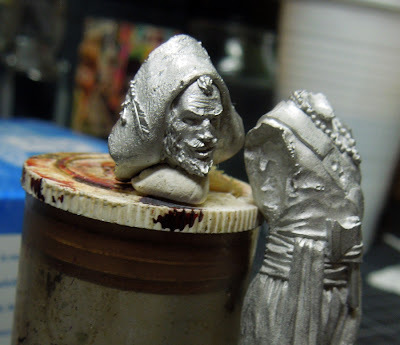 The power and strength of the sculpt will help me to get the cleaning right and well. Hope you liked this little MU? New Monkey in the Jungle!!! Nature ... a huge inspiration!